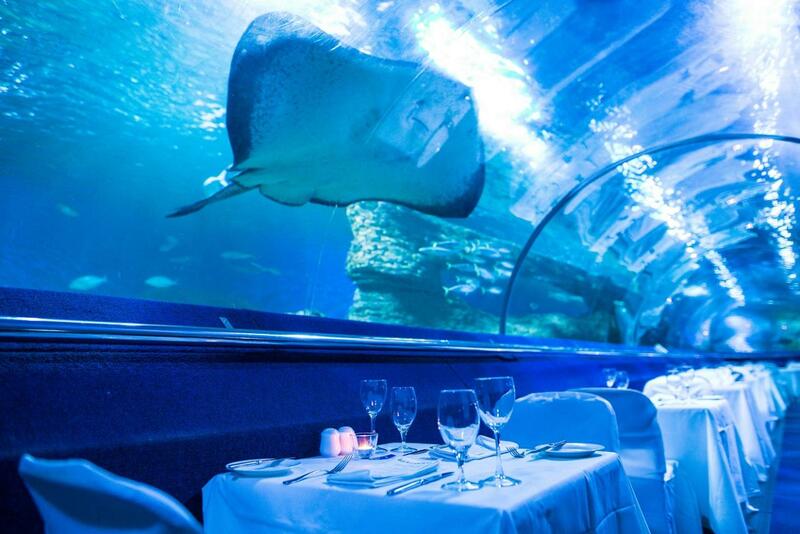 In September we will be hosting this truly unique Dine Beneath the Sea. Bookings are essential, numbers are limited! 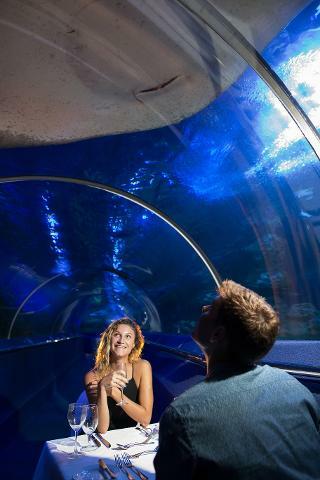 Enjoy a 3 course meal dining beneath the sea in our underwater tunnel. On arrival you will enjoy chefs specially prepared garlic chilli prawn and chorizo and savoury waffle cones filled with spicy avocado, tomato salsa, sour cream and Jalapenos as you explore the amazing AQWA exhibits by night. Take the 12,000 kilometre journey along the WA coastline before descending into the Underwater Tunnel, where you will be seated at your table for two and enjoy a 3 course meal prepared by AQWA's Executive Chef.